Studio Gear Cosmetics is a prestigious brand featuring a full line of cosmetic brushes, and a wide selection of shades for lips, eyes, and cheeks. The brand believes that every woman should have access to professional/high-grade products at a reasonable price. Their core makeup brush line is backed by a lifetime guarantee, which is amazing! What it is: Prime Objective Skin Perfecting Face Primer is a silicone based primer designed to visible diminish imperfections on the surface of the skin. In addition, it includes ingredients such as retinol and milk protein to balance and protect the skin from environmental stressors. I want to focus on Retinol because there are primers that contain it, but very few at this price. Retinol is a fancy name for Vitamin A. There are many scientifically proven benefits of Retinol including, diminishing wrinkles/fine lines, firming the skin, improving uneven skin tone, and smoothing the surface of the skin. The packaging has a very simplistic design, the container is plastic with a pump style dispenser. It contains 1 ounce of product and retails for $30 USD. 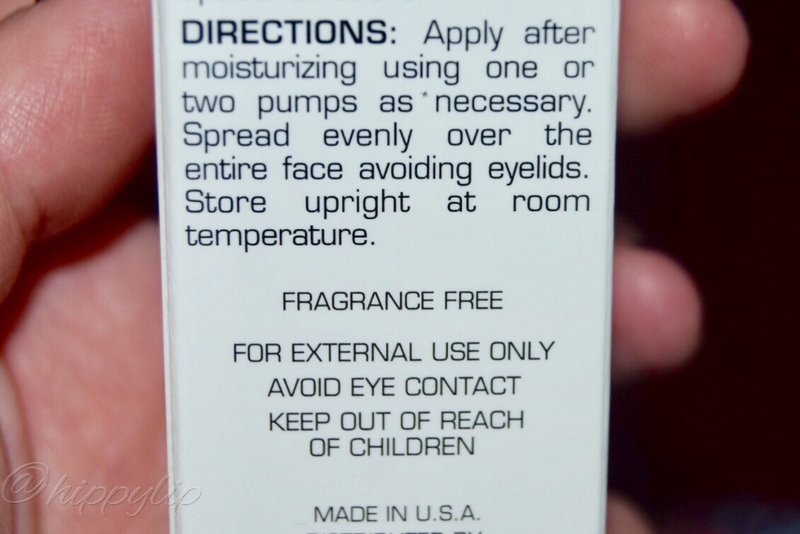 The pump dispenses about a large amount of product and is a semi-clear/light cream texture. This is a silicone-based primer, for those not familiar, it feels like silk as you massage over the skin and it dries down to almost a light powdery feel. 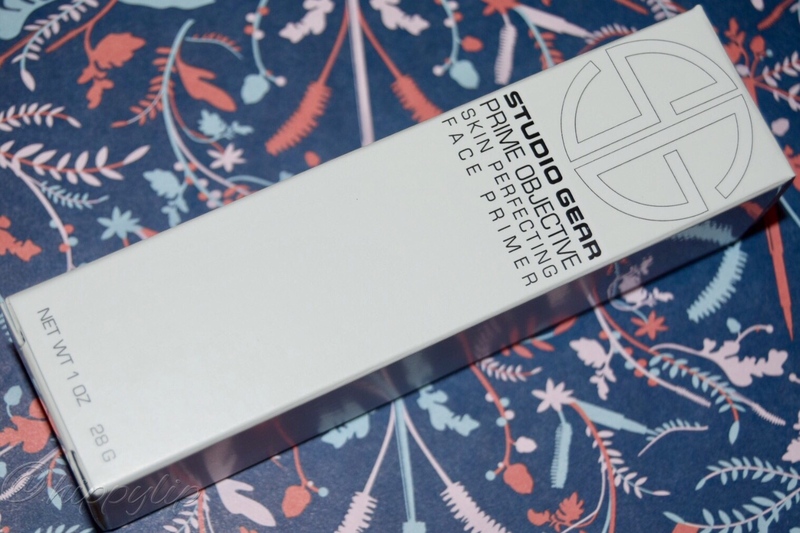 This type of primer works best at filling in any fine lines or imperfections. 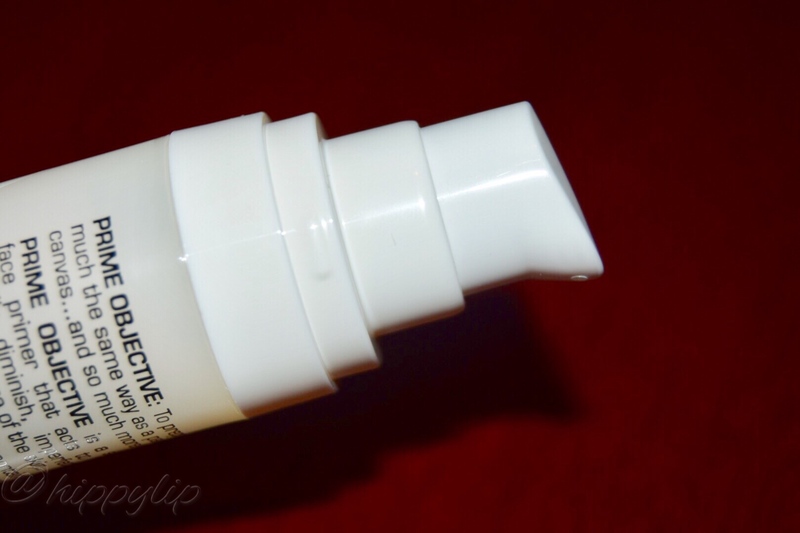 Review: I have been using Studio Gear Prime Objective Skin Perfecting Face Primer everyday for 2 weeks and I have gotten into the habit of only pressing the pump halfway, which covers my entire face. Compared to other silicone-based primers, I would say this one is a bit lighter. For those of you that are skeptical about retinol, I have not experienced any dryness, redness, sensitivity, or breakouts. I love the silky soft feeling, and it glides easily over the face making the perfect base to start the day. My pores are diminished and my t-zone is significantly less oily which slows the oxidation process down by hours. My foundation applies more evenly making it appear flawless. Typically my foundation lasts 5 hours before my t-zone starts breaking down. When I use Studio Gear, it lasts at least 8 hours. I find that my skin is significantly smoother even when clean and I suspect it is the Retinol making this happen. I think. I find myself reaching for Studio Gear more than any other primer I own. I highly recommend Studio Gear to those of you with oily skin, your foundation will last much longer. If you are interested in Studio Gear Prime Objective Skin Perfecting Face Primer the link is below. You can also use discount code: BB at checkout for 10% off!! Disclosure: I received this product in exchange for an honest review. All opinions are mine and I will never compromise the integrity of hippylip regardless of the offer! All reviews are 100% honest. Has anyone used a primer with Retinol? What are your thoughts? Give Me Some Lip! Previous D’OR24K Prestige Non Surgical Lifting Syringe, Ready For A Shocker? Haha. I thought the same thing! Retinol is an interesting ingredient for a silicone Primer.